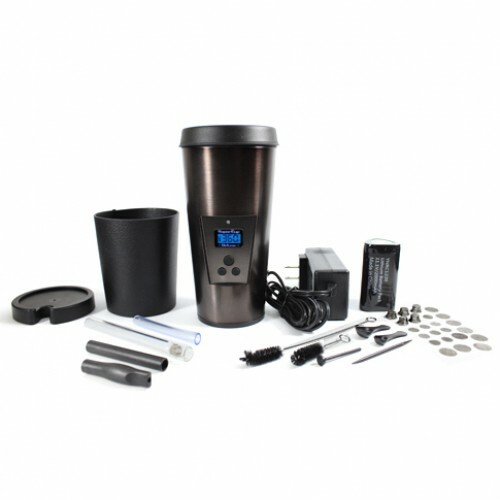 Introducing the most discreet vaporizer ever – the Vapor Cup! 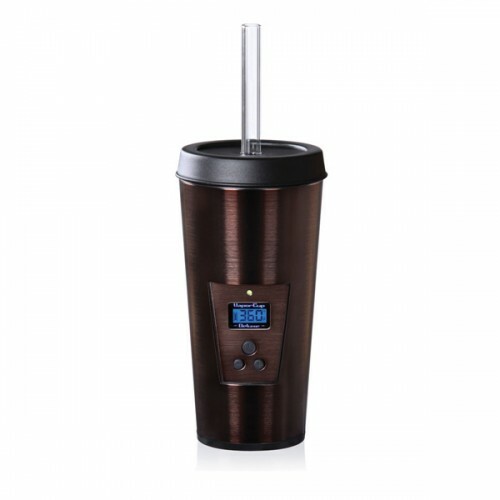 Tired of trying to sneak a toke in public with your not-so-inconspicuous vaporizer? Don’t want to sacrifice vapor quality for something that’s easy to conceal? The Vapor Cup is the answer. After all, performance and discretion shouldn’t be mutually exclusive when it comes to vaporizing, so get the best of both worlds with the Vapor Cup. While many other portable vaporizers force you to choose between limited preset heat settings, the Vapor Cup gives you full control over your vaporization experience. Boasting precise digital accuracy, the Vapor Cup allows you to adjust temperature by a single degree, allowing you to vape anywhere between 200°- 400°F. The Vapor Cup wasn’t just designed to be discreet; it was also built to outperform every other portable vaporizer on the market. 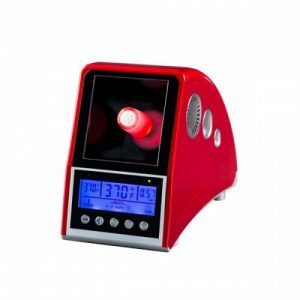 Along with quick heat-up time, the Vapor Cup utilizes a high-quality lithium-ion battery that is rechargeable as well as replaceable, capable of 1-2 hours of continuous use. 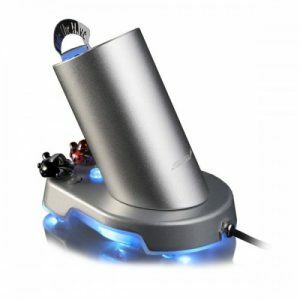 The Vapor Cup lets you to choose between two different ways to vape. For quick sessions with minimal cleanup, the Glass Straw Method allows you to pack herbs in the end of the glass straw-stem, which is then inserted directly into the heat chamber. For longer sessions or sessions with multiple users, the Cap & Straw Method involves packing herbs directly into the heating chamber. 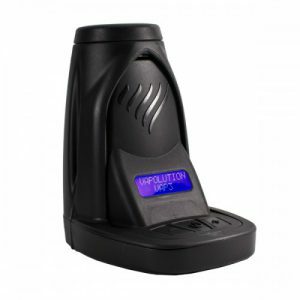 While there’s other portable vaporizers on the market that claim to be discreet, none can even come close to matching the inconspicuous nature of the Vapor Cup. 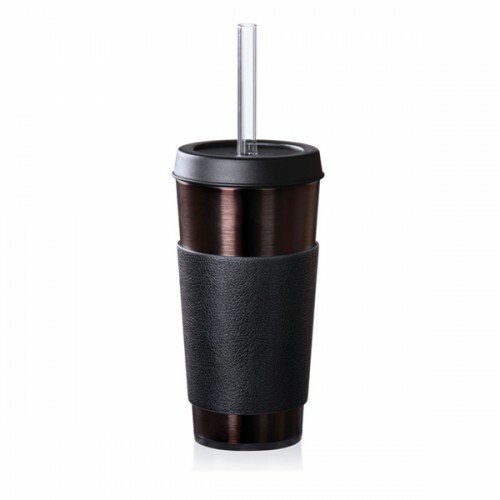 Its unique stainless-steel travel mug design perfectly compliments your environment without drawing any unwanted attention, and blends in effortlessly with your surroundings. Ideal for beach days, concerts or just running errands around town – the Vapor Cup allows you vape discreetly and in style. There’s nothing more annoying than a gunked-up vaporizer – except a gunked-up vaporizer that’s damn near impossible to get clean! 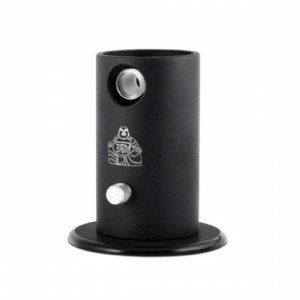 Unlike those other vapes, the Vapor Cup’s removable heating chamber is a very easy to clean. 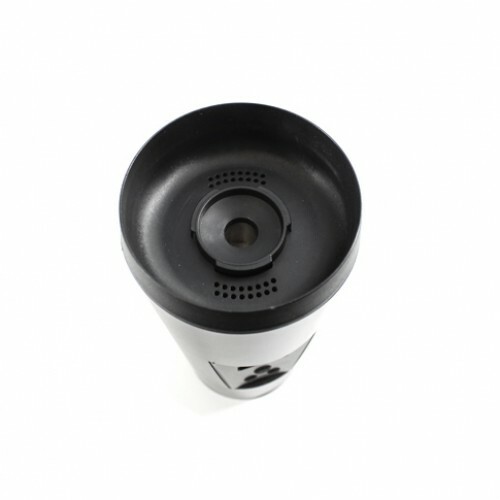 Simply pop-off the travel lid, remove the seal ring and remove the heating chamber. Then, just soak it in some alcohol, and you’re good to go! Dimensions: 5.5 x 9.5 x 8 in.